camellia plants and this pathogen. 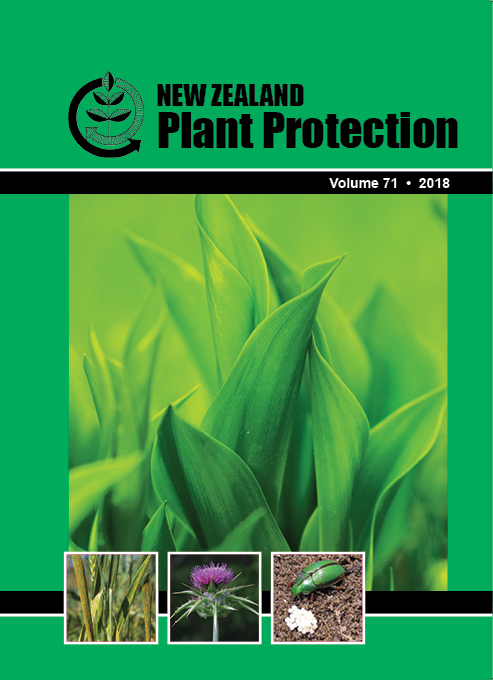 Hannah McCarthy, recipient of the 2017/2018 New Zealand Plant Protection Society Research Scholarship, is part of this team. Ciborinia camellia is host and tissue specific, which restricts its infection capability to flowers of the Camellia genus. This disease spreads by ascospores, which after landing on a susceptible Camellia spp. bloom, germinate to grow hyphae and cause necrosis and death of the petal tissues. The flower then falls prematurely to the ground, where the fungus survives as hardened sclerotium until the next flowering season. this project, the research team hopes to have: (a) identified the region of the S. sclerotiorum protein responsible for its necrotic activity; (b) compared this region with sequences of Ciborinia camelliae CCL-SSPs; and (c) deduced the likely function of this protein family, and its role in camellia petal blight.